If you are going to save cauliflower for later the best way to do it is in the freezer. Pre-made cauliflower rice it can be frozen in baggies to be cooked later. If you want to freeze your cauliflower as florets, it’s a good idea to blanch it first. Here tips on blanching cauliflower before freezing from The Spruce Eats. Once you get your cauliflower safely saved in your freezer, it’s time to eat it! Here are some recipes to get you started. And keep you going. Seriously. You could eat cauliflower every other day for the next year! 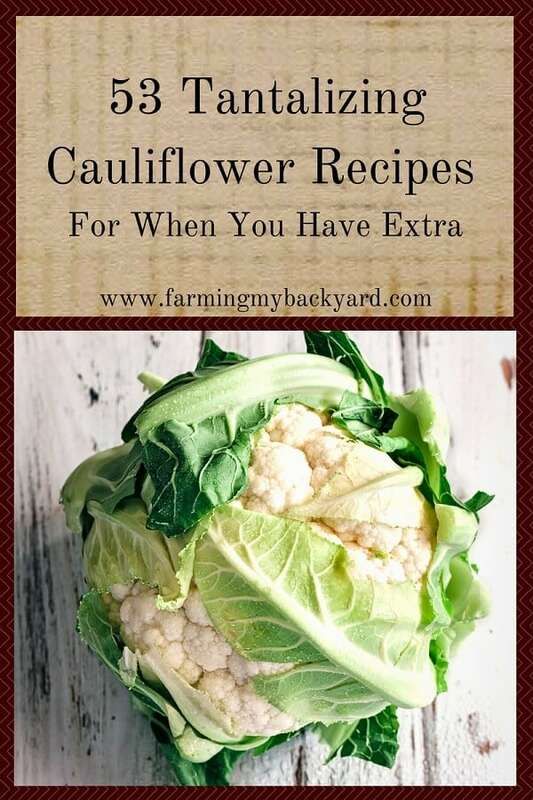 Yay, cauliflower recipes! Cauliflower is an amazing multipurpose vegetable. You can eat it in just about every traditional way imaginable. Plus it’s great as a replacement for rice or pasta for those of you who may be eating low carb or keto diets! Cauliflower’s mild taste makes it very versatile, but sometimes classic recipes are good too. Here are 19 different cauliflower soup recipes for you. Do you like curry? Try one of these! This curried cauliflower soup with crispy onions will keep you warm on a cold evening. Check it out from What A Girl Eats. Need food fast? Use the pressure cooker. Here’s a creamy curry from The Cook Report. Curried cauliflower soup with with apples really highlights fall flavors. Get the recipe at Delicious Obesssions. One pot meals are always a hit for me. Fewer dishes! Get the details on how to make this curried chicken skillet from Mashup Mom. Creamy Vegan Cauliflower soup really lets the cauliflower shine, and it’s Whole30 compliant! Get the recipe from The Movement Menu. This Sweet Potato Cauliflower Soup really lets the vegetables shine, yet still is filling and satisfying. Check it out at Veggie Inspired. The pairing with pomegranate seeds as a garnish really has me intrigued on this Silky Vegan Cauliflower Soup. Get the details from Happy Kitchen. Rocks! This hearty stew is perfect for Meatless Monday or any other time you want a hearty vegan chili. Here’s how to make it from Happy Kitchen. Rocks. Creamy Coconut Cauliflower Soup really let’s the added herbs shine. Get the recipe from Trinity’s Kitchen. Pre-roasting your cauliflower for this Roasted Cauliflower Garlic Soup with spices seals in the added flavor. Give this recipe from Natalie’s Happy Health a try. Getting chilly? Warm things up with Spicy Green Cauliflower and Brussel Sprouts Soup. Find out how to make it at Veganosity. Here’s a classic greek stew with cauliflower and potatoes from Kopiaste. Like potato soup, but want to skip all the carbs? Use cauliflower instead! 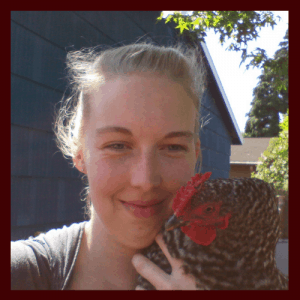 Find out how to make it from Simple Nourished Living. Bacon and brie in a cauliflower soup? Yes, please! Elizabeth’s Kitchen Diary has all the details on how to make it. More of a stew than a soup, this cauliflower pumpkin dal still looks delicious. Get the recipe from Eat Drink Paleo. Here’s a simple, yet classic cauliflower soup from Drugstore Divas! Bacon cheeseburger soup? Sounds like fun! Plus you can use your Instant Pot if you have one. Find out how from Tessa The Domestic Diva. Cold soups are perfect for warm days. Here’s a great one from The View From Great Island. Everything is better with butter and cream, even cauliflower. Get the hearty details at Pastry Chef Online. Cauliflower’s versatility goes from soup to salad with ease. Here are cauliflower recipes that include it in a yummy cold side dish, perfect for picnics. This bright and summer-y Cauliflower Cashew Confetti Salad highlights quinoa and apples alongside the cauliflower. Find out how to make it at Spabettie. This creamy slaw uses tahini alongside the cauliflower, walnuts, and raisins. Get the recipe from Trinity’s Kitchen. For a more classic coleslaw including cauliflower, give this recipe from Cooking With K a try. Maybe you love potato salad, but potatoes don’t love you. Try some of this mock potato salad with cauliflower! Find out how to make it The Kitchen Is My Playground. Trying to eat the rainbow? Knock out a bunch of colors in one bowl with Raw Rainbow Detox Veggie Salad. Here’s how to put it together at Tasting Page. Bacon and spicy peppers make this salad unique. Get the recipe from Homemade Food Junkie. Need to sneak some vegetables in where you won’t notice them? Try adding cauliflower into sauces! Add cauliflower into alfredo sauce for an easy peasy vegetable serving. Get the instructions from My Kitchen Love. Perhaps alfredo is a little too fancy for you. Here’s how to add it into a basic cheese sauce from Elizabeth’s Kitchen Diary. Here’s a vegan option for an alfredo-esque sauce from A Virtual Vegan and another version from The Decorated Cookie. Want more protein? Try this vegan alfredo made with cashews and cauliflower from Happy Kitchen.Rocks! And here’s a fun one, nacho cheese dip with cauliflower from What Great Grandma Ate! Need a non-dairy queso? Check out this recipe from Cadry’s Kitchen. Want a way to scarf down tons of tasty cauliflower AND get to use delicious dips? Try one of these cauliflower wings recipes. Can you ever go wrong with a deep fried anything? Try these cauliflower hot wings from Pepper Bowl. Love your air fryer instead? Give this recipe from Glue and Glitter a try. If you’re not into frying, you can still bake them! Namely Marly shows you how! The batter on these cauliflower wings makes this recipe from Persnickity Plates really shine. Don’t worry if you can’t do wheat based breading. Here’s a gluten free version from The Heritage Cook. These cauliflower barbecue wings make me think of the honey barbecue wings from Applebee’s, but they’re a lot healthier for you! Eat Plant-Based shows you how to make them. Even if you can’t do gluten OR sugar, you can still have these hot wings from Apples For CJ! Sweet and simple, this recipe from VegAnnie will come together quickly. When we think of pickles, we usually think of cucumbers. However, virtually any vegetable can be pickled! If you think cauliflower is bland, give these cauliflower recipes a try. This Piccalilli includes several other vegetables and would go very nicely with sandwiches. Here’s how to make it. Turmeric and Ginger gives this cauliflower recipe a punch of flavor. Find out how to make it from Craving Something Healthy. When you can’t have carbs or noodles, cauliflower makes a great substitute in macaroni and cheese recipes! For super cheesy cauliflower (plus bacon!) try this recipe from Low Carb With Jennifer. Want to throw it all into a crockpot and walk away for a few hours? Here’s a crock pot version from Apples For CJ. Or maybe you want dinner ready in five minutes, and would prefer a pressure cooker. There’s a recipe for that too! And of course you really can’t go wrong with classics like roasting in the oven. Here’s a backed mac and cheese from Satori Design for Living. You don’t have to take out the noodles if you don’t want to. Adding cauliflower in alongside them works too. Read more from Delicious Obsessions. Here are some unique but delicious cauliflower recipes for when you are looking for something new to try. I don’t really know what Biryani is, but this recipe from The Cook Report looks pretty tasty. Cauliflower, hazelnuts and pears? Surprisingly, they DO work together. Find out how from Umami Girl. What!?! Cauliflower waffles? It really is versatile! Check out the recipe from Caroline’s Cooking. Pot pies are super duper delicious, and even if you don’t have meat, you can still make this one using cauliflower! If you want something more green, try this vegetable bowl with chimichurri from Veganosity. This cauliflower marsala also looks delicious! Here’s the recipe from Dianne’s Vegan Kitchen. And of course, we’ll need dessert too. So give this cauliflower banana bundt cake a try from Veggie Desserts! Yum. And believe it not, there are MORE awesome cauliflower recipes out there, so stay tuned for part two!